The remarkable true stories in The Boy Behind the Curtain reveal an intimate and rare view of Tim Winton’s imagination at work and play. A chronicler of sudden turnings, brutal revelations and tender sideswipes, Tim Winton has always been in the business of trouble. In his novels chaos waits in the wings and ordinary people are ambushed by events and emotions beyond their control. But as these extraordinarily powerful memoirs show, the abrupt and the headlong are old familiars to the author himself, for in many ways his has been a life shaped by havoc. In The Boy Behind the Curtain Winton reflects on the accidents, traumatic and serendipitous, that have influenced his view of life and fuelled his distinctive artistic vision. On the unexpected links between car crashes and religious faith, between surfing and writing, and how going to the wrong movie at the age of eight opened him up to a life of the imagination. And in essays on class, fundamentalism, asylum seekers, guns and the natural world he reveals not only the incidents and concerns that have made him the much-loved writer he is, but some of what unites the life and the work. By turns impassioned, funny, joyous, astonishing, this is Winton’s most personal book to date, an insight into the man who’s held us enthralled for three decades and helped us reshape our view of ourselves. Behind it all, from risk-taking youth to surprise-averse middle age, has been the crazy punt of staking everything on becoming a writer. Tim Winton is the best Australian Author ever. Tim Winton's books are for all ages and always riveting. He write best about what he knows, his growing up in WA. I chose this book for our Book Club. We have a few TW fans and a few who don't enjoy his work. Everyone in the book club is enjoying reading this book! It helps that we all live in Western Australia. I am learning a lot about WA's history, and it's great to hear more about TW's environmental and political interests. Some of the chapters are also very funny! If you are a fan of TW, or a sandgroper, it's a great book combining entertainment, history, and current societal issues. It will certainly make great conversation fodder when we meet on Sunday! This truely is an excellent read. Very realistic and believable story telling. Bonus author signature - wonderful! A series of commentaries about life as a writer, as an activist, being different, family, and Australian life. While some of the chapters have been previously published I enjoyed reading them again. Tim takes such care with his phrases and characters and observations and I will continue reading everything he publishes. The usual great writing that only comes from our own great storyteller Tim Winton. Using just the right words he creates word pictures that take you to where he wants you to be and it is so easy to see and feel what he is seeing and feeling. But more than that you are able to feel create your own images as well. as the story unfolds. Even though the author is the boy behind the curtain you feel like you are the person behind the boy behind the curtain. Master story telling. The pre-eminent Australian novelist of his generation, Tim's literary reputation was established early when his first novel, An Open Swimmer, won the 1981 Australian Vogel Award; his second novel Shallows, won the Miles Franklin Award in 1984; and his third book, Scission, a collection of short stories, won the West Australian Council Literary Award in 1985. That Eye the Sky was adapted for the stage by Justin Monjo and Richard Roxburgh, and also made into a film. A second film adaptation was made of In the Winter Dark, featuring Brenda Blethyn. Tim's fifth novel, Cloudstreet, the story of two working-class families rebuilding their lives, was a huge literary and commercial success. It has been a best seller since its publication in 1991 and was recently voted the most popular Australian novel by the Australian Society of Authors. Awards include National Book Council Banjo Award for Fiction, 1991; West Australian Fiction Award 1991; Deo Gloria Award (UK), 1991 and the 1992 Miles Franklin Award. Cloudstreet, was adapted for the stage by Nick Enright and Justin Monjo, and played to sell-out houses around Australia and in Zurich, London and Dublin in 1999. It toured internationally again in 2001, playing in London, New York and Washington. Film rights have been bought by Cloudstreet Inc. (USA). Tim's 1995 novel The Riders was shortlisted for the prestigious Booker Prize and has been translated into numerous languages including French, German, Italian, Danish, Dutch, Polish, Greek and Hebrew. His books for children and teenagers include the series of three books about the 13 year old Lockie Leonard. The first book in the series, Lockie Leonard, Human Torpedo, won the Western Australia Premier's Award for Children's Fiction. It was adapted for the stage by Paige Gibbs and toured nationally with great success. Lockie Leonard, Legend won the Family Award for Children's Literature. The books were made into a television series by RB Films. In 2001 Tim's novel, Dirt Music, was published to considerable critical acclaim and impressive reviews. The book was shortlisted for the 2002 Mann Booker Prize and won the 2002 Miles Franklin Award, the West Australian Fiction Award and the Christina Stead Award for Fiction. Film rights have been optioned to Phil Noyce's film company, Rumbalara Films, and Colin Farrell and Rachel Weisz are signed to star in the film. The Turning, published in 2004, was described as "at once exquisite and unsettling, brimming with imagery so lush and observations so precise the book is almost incandescent" (The Bulletin). The Turning was shortlisted for the Frank O'Connor Short Story Award and won the Christina Stead Prize for Fiction, the Queensland Fiction Book Award and the Colin Roderick Award. Breath, was published by Penguin Books Australia, Picador United Kingdom, Farrar Straus Giroux USA, Harper Collins Canada, de Gues in the Netherlands, Luchterland Germany and Editions Rivages Payot France in 2008. It was awarded the 2009 Miles Franklin Prize for Literature. 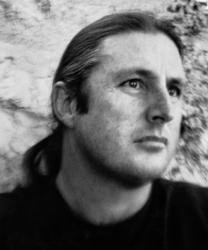 Tim Winton is patron of the Tim Winton Award for Young Writers sponsored by the City of Subiaco, Western Australia. Active in the environmental movement in Australia, he was awarded the Centenary Medal for service to literature and the community. He is also the patron of the Australian Marine Conservation Society and the Stop the Toad Foundation and is active in many of their campaigns. He has recently contributed to the whaling debate with an article published on The Last Whale website. He lives in Western Australia with his wife and three children.